These are the perfect safety addition for every garage. These wheel chocks help prevent movement, keeping your work space safe. Collapsible design helps keep your garage organized and clutter-free. 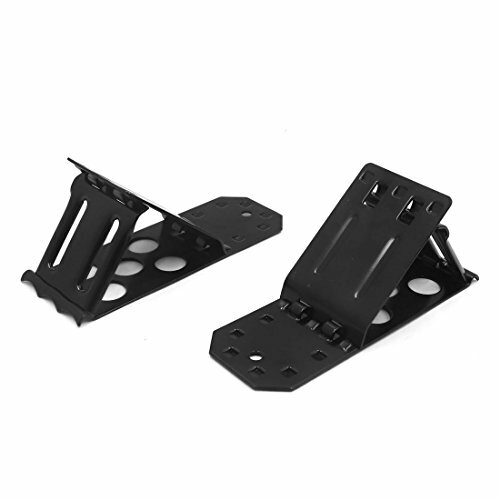 The perfect safety device to use with ramps or other lifting devices. The product should be used only on flat surface. Push firmly under tires. Use in pairs, on both sides of the tire. Ideal accessory for the emergency equipment in your trunk! Make sure the cars handbrake is on and the car is in gear. Unfold and place flat on the ground, close to the tire. Push chocks under the tire, one on each side, in the directions the tire could roll. Repeat as needed for other tires to prevent movement.